I have been playing (literally) around with the laptop for about two weeks now and my review for the ASUS ROG Strix SCAR II GL504. 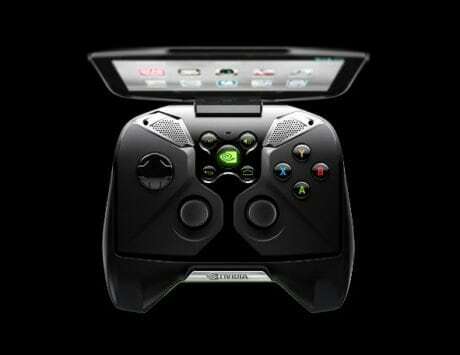 The highlight of the device is the presence of Nvidia GeForce RTX Graphics cards. 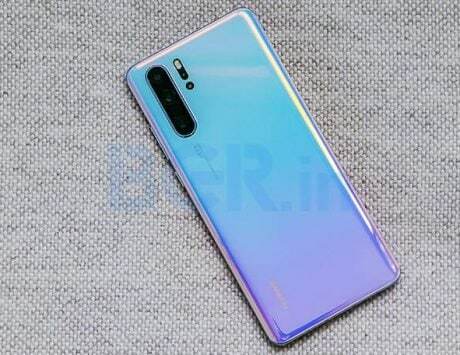 ROG has priced the device starting at Rs. Rs. 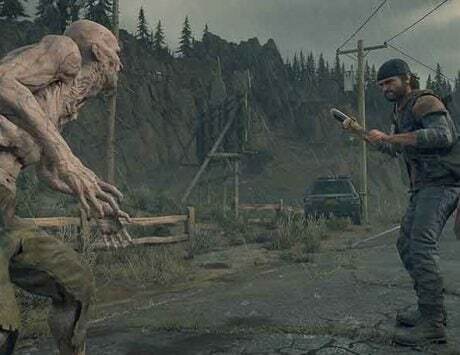 1,64,990 with Nvidia GeForce RTX 2060. The gaming laptop comes with Intel Core i7-8750H with six cores and 12 threads. 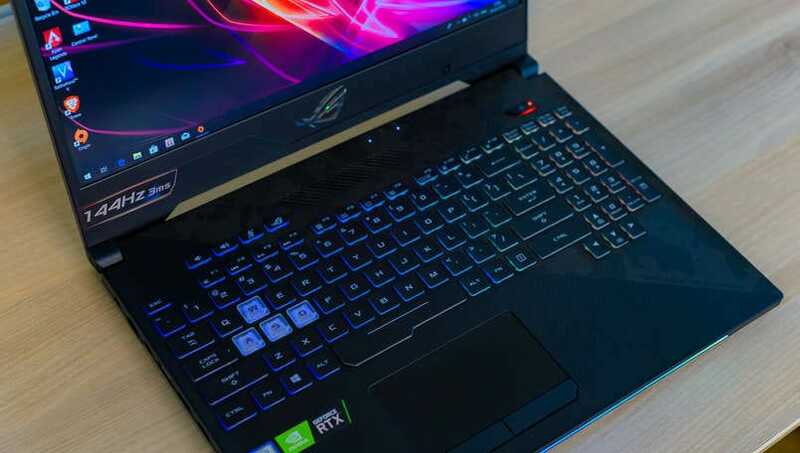 Republic of Gamers (ROG), the sub-brand of Taiwanese company Asus has just updated its existing ROG Strix Scar II and Hero II of gaming laptops with new hardware. The company launched the updated lineup of its laptops along with a few new models at the beginning of the month. 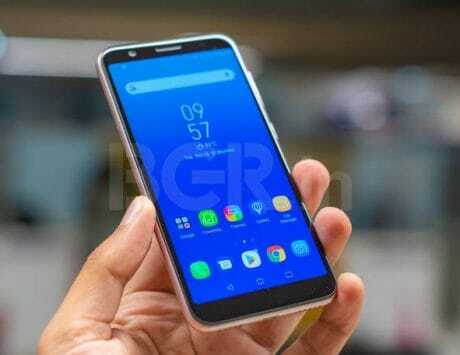 The highlight of the recently launched lineup was general improvements to the device after user feedback along with the addition of new hardware including the much anticipated jumpy to Nvidia RTX GPU cards along with the latest H series Coffee Lake processors from Intel. 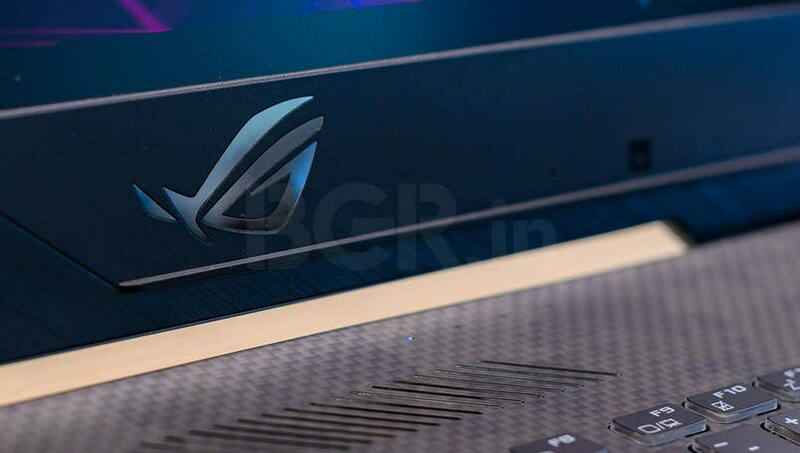 Talking about the Asus ROG Strix SCAR II GL504, as previously mentioned, the device gets the much awaited RTX upgrade along with the latest from Intel. Other key highlights include the presence of a 15.6-inch FHD screen with a 144Hz refresh rate and ample of RGB. After the launch, Asus reached out to us to offer a unit for the review. Considering that it is one of the first gaming laptop makers to actually offer a RTX GPU packing device in the market, I was quite eager to see if it was all worth it. This and the fact that I have heard some praise for the previous models for the ROG Strix SCAR II series and I wanted to see how it stands with all the new hardware updates. I have been playing (literally) around with the unit for about two weeks now and have gotten a real sense of the laptop. 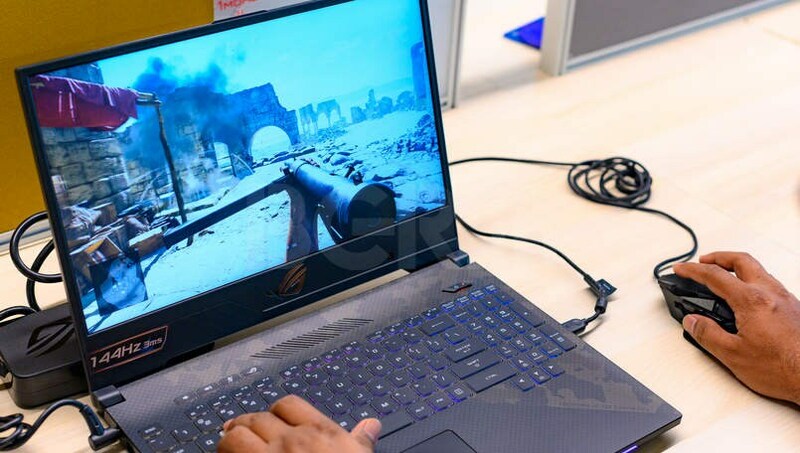 Does ROG manage to deliver another stellar laptop with the Strix SCAR II and does Nvidia manage to push the gaming experience further with the much-hyped RTX graphics cards. Let’s find out the answers in my review for the Asus ROG Strix SCAR II GL504. Before diving into the details of the specifications. Let’s talk specifications of the gaming laptop. 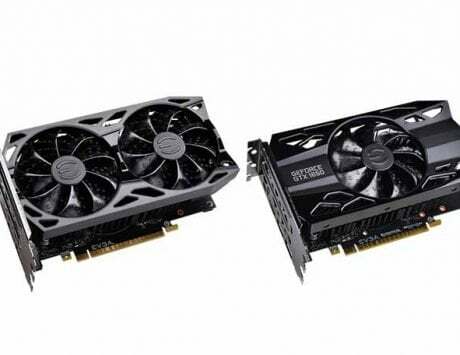 Asus offers the device in two models, the Asus ROG Strix SCAR II GL504W and the SCAR II GL504GV. We received the SCAR II GL504GV with Intel Core i7-8750H processor with six cores along with Nvidia GeForce RTX 2060 GPU with 6GB GDDR6 VRAM. 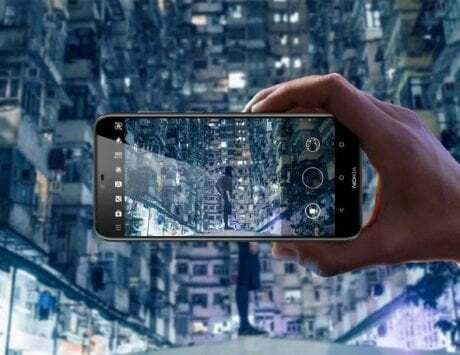 In addition to this, the device came with 16GB RAM which can be expanded up to 32GB and 256GB NVMe m.2 SSD with 1TB FireCuda Solid State hybrid drive for storage. 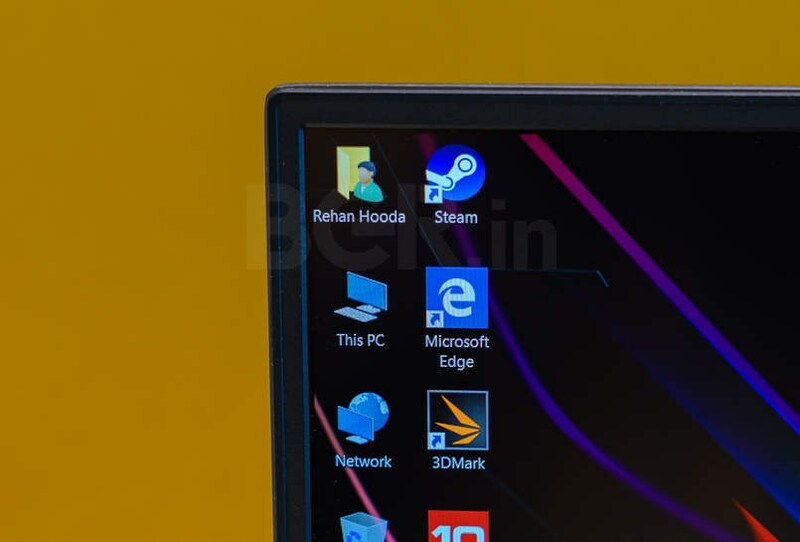 As previously mentioned, the device comes with a 15.6-inch ‘Non-Glare’ display with FHD (1,920 x 1,080 pixels) resolution and 144Hz refresh rate with 3ms response time. 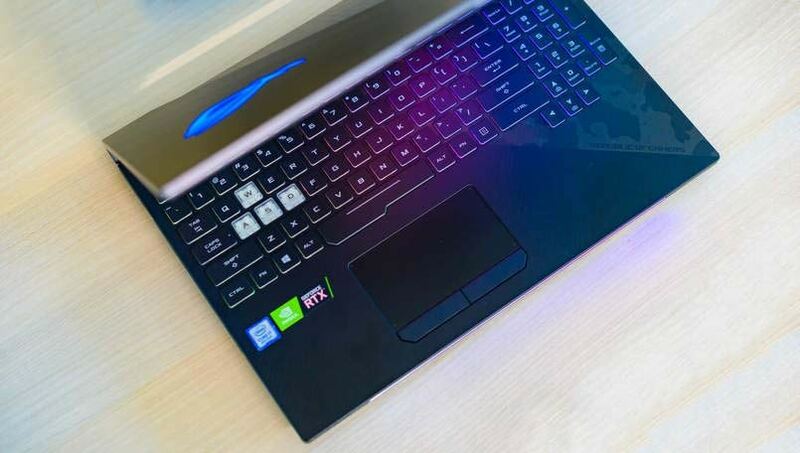 The laptop comes with a backlit keyboard along with RGB lighting with Aura Sync. 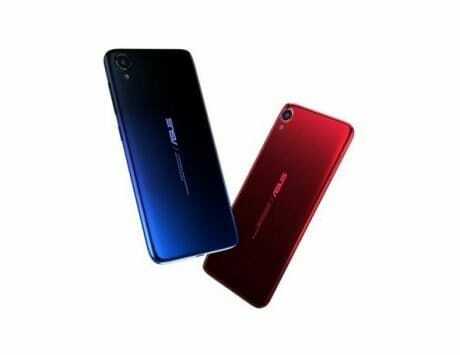 In terms of ports, Asus has added one second-generation USB 3.1 Type C port, two first generation USB 3.1 Type-A (regular USB) ports, one mini Display Port 1.2 port, 1 HDMI 2b port, one RJ45 port, one SD card reader, one 3.5mm audio socket port and one port for a Kensington lock. 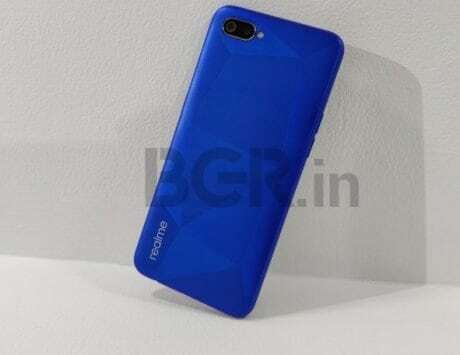 The device comes with a 230W massive power brick along with the usual Intel 802.11ac Gigabit Wi-Fi and Bluetooth v5.0 for connectivity and two 1W speakers along with array microphones in terms of audio. 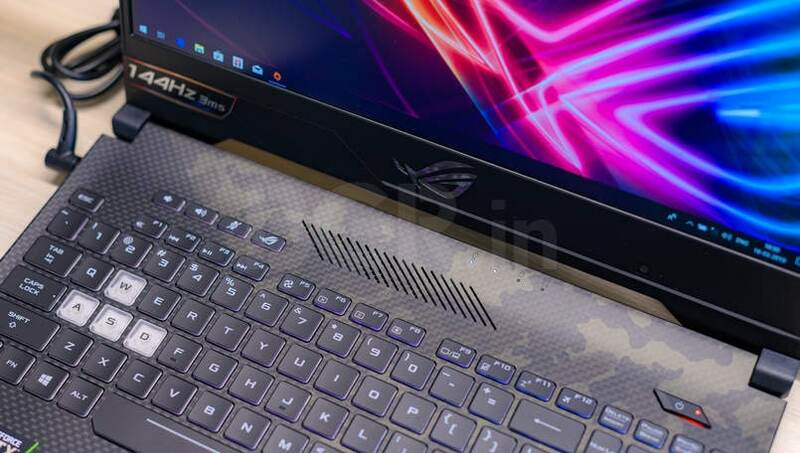 The cost of the review unit and the exact model number was Asus ROG Strix SCAR II GL504GV-ES019T and Rs. 1,64,990 respectively. 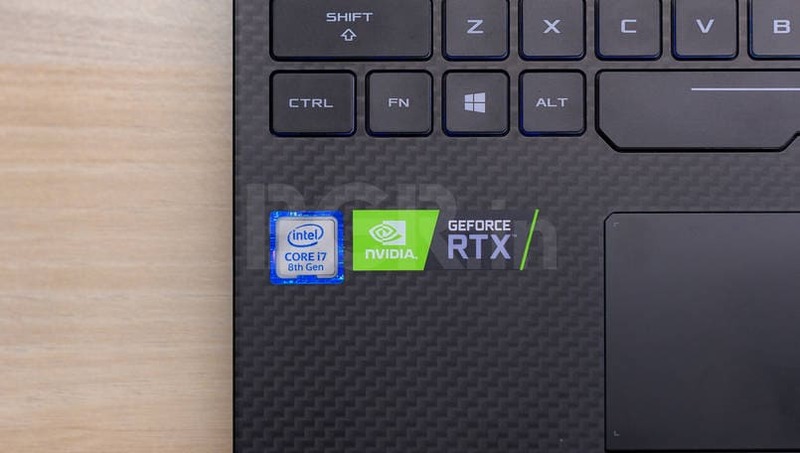 The top of the line laptop as part of the refresh comes with Nvidia GeForce RTX 2070 with 8GB VRAM. Straight out of the box, you can’t help but notice the tank-like construction of the laptop. It comes with a brushed metal finish on the back along with the familiar ROG logo with Aura Sync RBG. 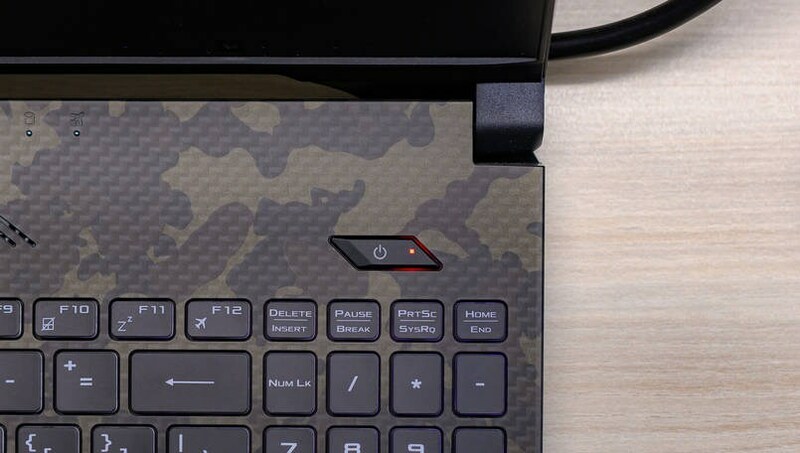 Asus has added a carbon fiber-like finish on the keyboard of the device. There is no flex either on the keyboard or on the bottom of the laptop reaffirming structural quality of the device. Taking a look at the previous version of this laptop, we realize that the company has not made any changes to the exterior of the laptop. This itself is impressive though adds some heft to the device increasing the weight of the device to 2.4 kilograms. This means that at almost all the times, the device can’t be handled with just one hand and buyers need to use both hands to safely carry the device around. Inspecting the device all around, one can see that it is top quality stuff built to last. 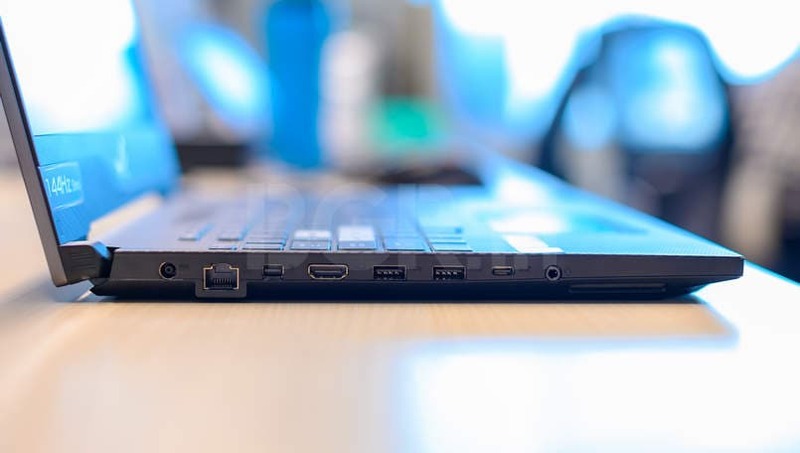 The device also comes with a number of air vents on both sides of the laptop, at the back, at the bottom and also along the top of the keyboard. 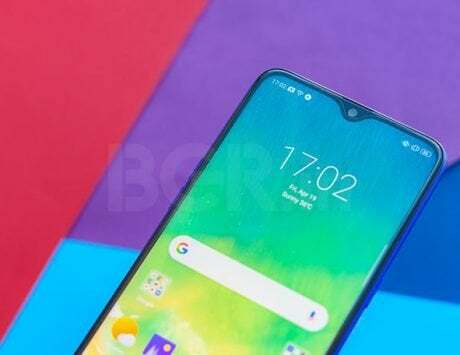 From a design perspective, this indicated that the company has taken care of cooling the device properly. The design of the laptop may also look over-engineered but that is somewhat of a trademark design decision on part of Asus. In addition to this, the narrow bezels on three sides of the display and the ample amount of RGB lighting covering almost half of the device (on the top, keyboard, and the front) gives it the futuristic look. Let’s dive into the crux of this review, the gaming performance of the laptop. To give you a hint, the Asus ROG Strix SCAR II GL504 is the stuff of dreams. 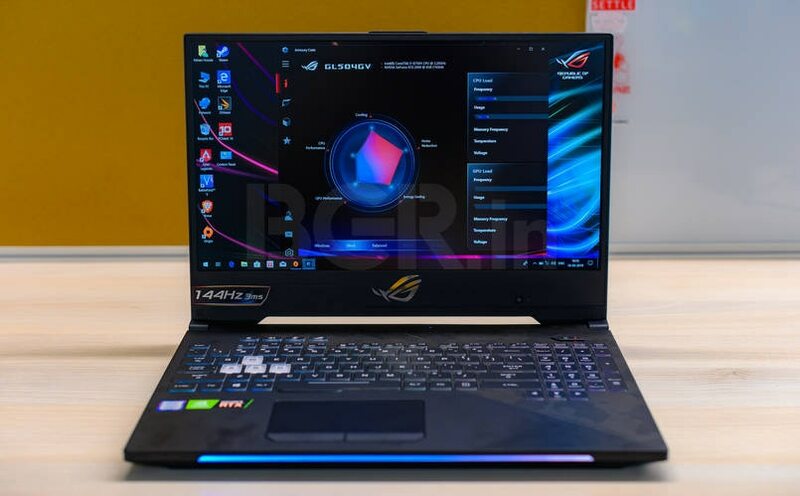 Asus and ROG in extension have done a great job with the laptop in terms of design, and gaming performance while keeping a good control on the thermals. 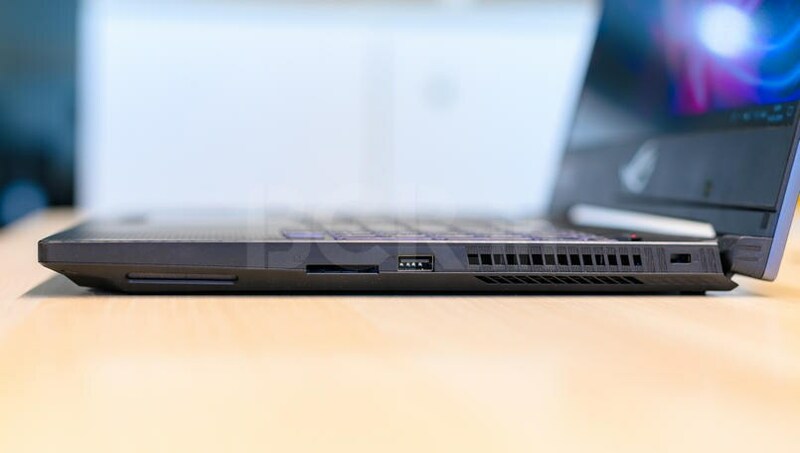 The top of the line specifications of the laptop hazel through in real-world performance while the multiple wire intakes make sure that the internals are kept cool even during long extended periods of gaming. 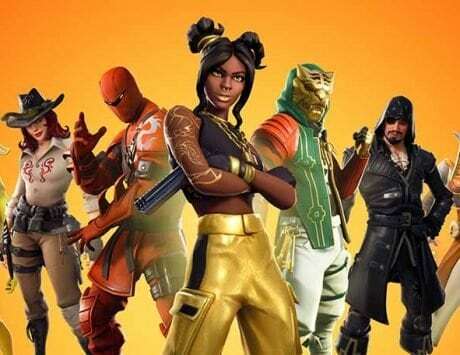 During the length of the review, I played three games on the laptop including Battlefield V, Apex Legends, and Sunset Overdrive. For 1080p gaming performance, the laptop chewed through everything that I threw at it while providing top of the line performance. 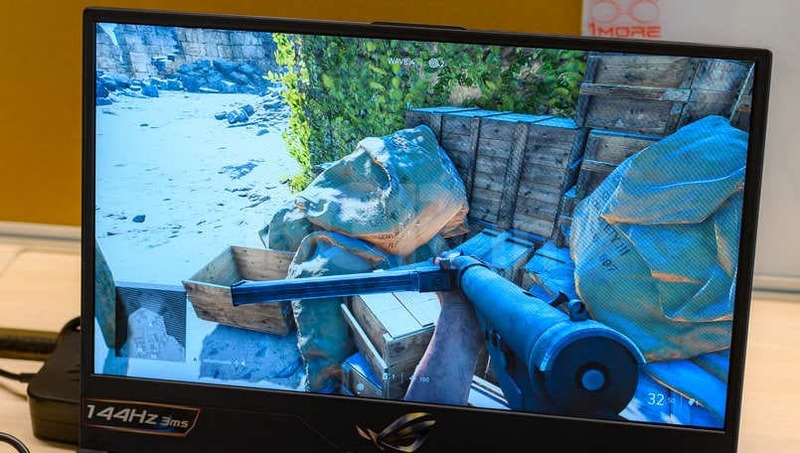 Asus ROG Strix SCAR II GL504 maintained frame rates of about 90-105 in Battlefield V, about 90-100fps in Apex Legends and 95-100fps in Sunset Overdrive. It’s worth noting that the fans on the laptop were quite generous and kicked in seconds after launching heavy duty games. There is no solution about this if you need top of the line performance. However, you may need to invest in a good pair of earphones or headphones to muffle the noise. I also conducted a number of benchmarks including numerous graphics related tests on 3DMark, overall performance on PCMark 10 and last but not least Cinebench R20. The laptop scored 13,496 in 3DMark Fire Strike, 2,906 in 3DMark Port Royal, 2,606 in 3DMark Time Spy Extreme, 5,334 in PCMark 10, and 2,683 in Cinebench R20. It is worth noting that benchmarks don’t really indicate real-world performance but still, here is some sense of scale for anyone looking. 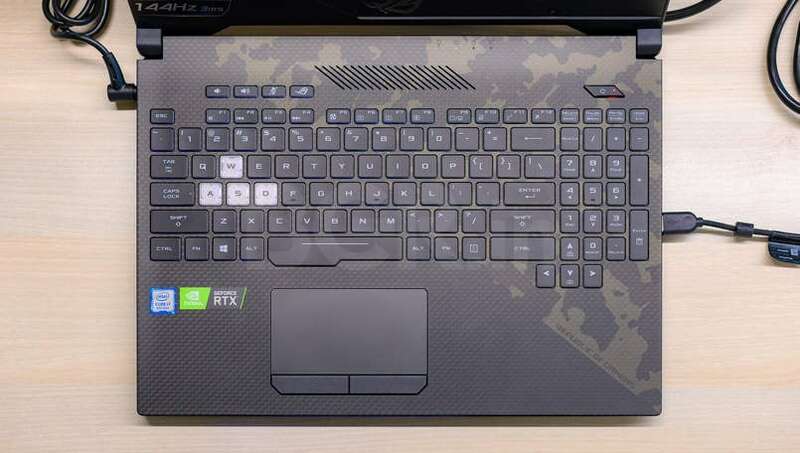 Talking about the keyboard and trackpad of the gaming laptop, the chiclet keyboard comes with WASD keys marked in white while rest of the keys are in usual black color. The keyboard comes with four RBG zones that one can change. The claimed 1.8mm of key travel distance stands tall giving a good experience both while gaming as well as typing. The good part about the keyboard is that it does not require too much an actuation force. The company has also added a webcam at the bottom of the display which just gets its job done. The trackpad is good with dedicated keys for the right and left clicks at the bottom. It comes with Windows Precision drivers offering a good experience though you should invest in a dedicated USB keyboard if you are getting the laptop for gaming. True to any traditional gaming laptop, this laptop from Asus does not provide stellar battery backup. I could only use the laptop for about 2.5 hours which really only meant typing and usual web browsing as there is no question about gaming on the laptop when on battery. The reason I say this is because the laptop uses a lot of resources while gaming and gaming would drain in much faster. Another reason about this that the laptop battery is not able to provide adequate power to the CPU and GPU for peak performance. This affects the performance of games and it is advisable to game when the laptop is on constant charging. Last but not least, be mindful of the massive power brick that you will have to carry with the laptop. After about two weeks of usage along with a lot go gaming, I am thoroughly impressed by the Asus ROG Strix SCAR II GL504. ROG has another winner at its hands in case users can make do with GTX 2060 and the design. Even though at the starting price of Rs. Rs. 1,64,990, the laptop is somewhat expensive but if you are a gamer then this will provide you a good return for your investment. If you don’t really want to game then obviously, look elsewhere under the Rs 100,000 mark. If you want to replace your old gaming laptop then this is the right choice, especially with anything older than GeForce GTX 1000 series. Users with laptops that already sport anything more powerful than GTX 1060 should wait for the next generation of GPUs to get a new laptop.